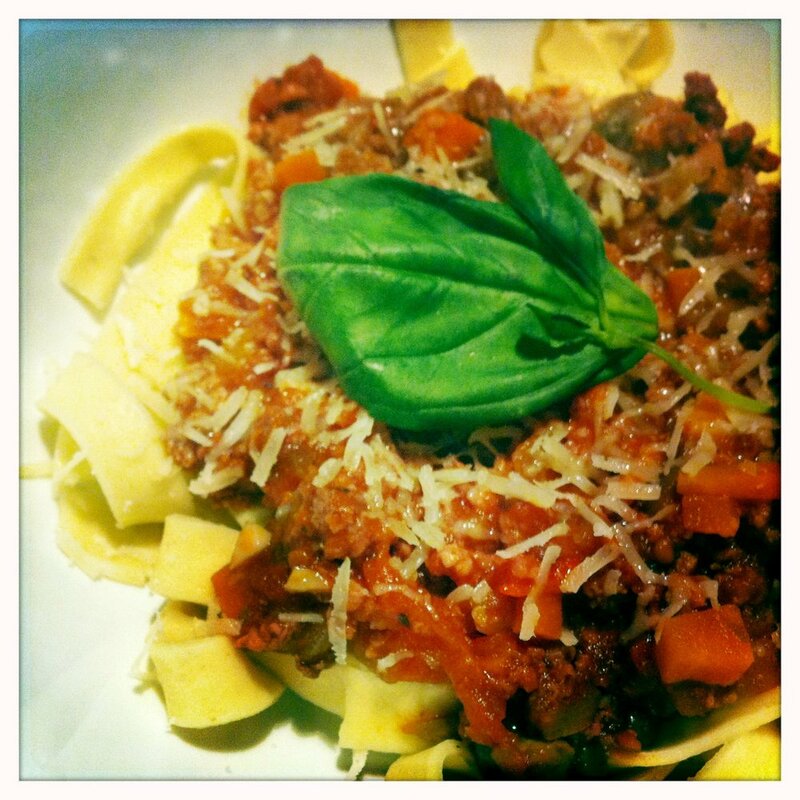 Cows and pigs are barn yard friends and are even better friends in a big bowl of bolognese! 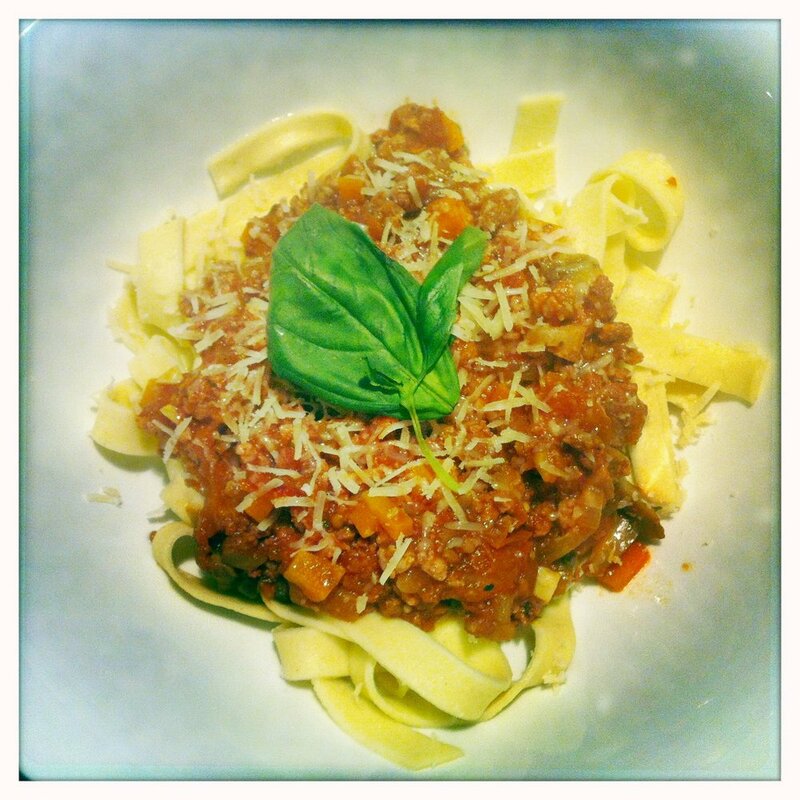 I have finally mastered the perfect bolognese sauce, which tastes even better the next day (they aways do). 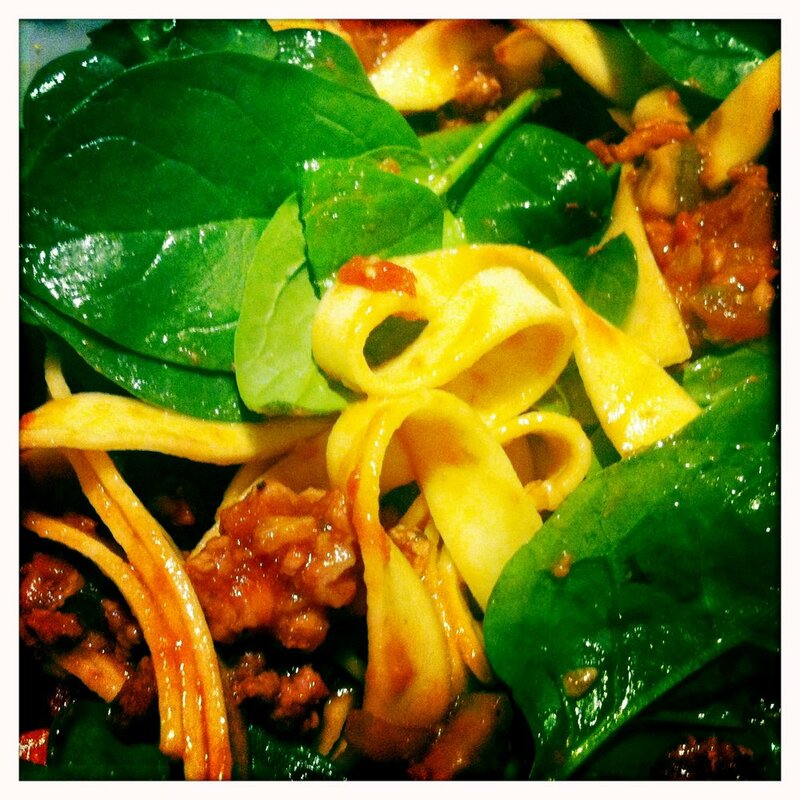 *Tip: add a big pile of spinach on top save yourself making a salad, it tastes delightful! Think your bolognese is better than mine? Send me your recipe so I can test it myself.